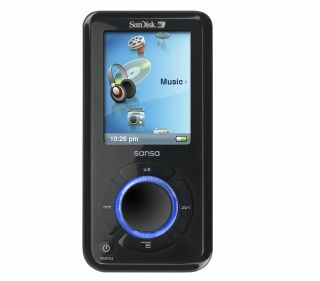 Apple , Samsung and SanDisk are being sued for patent violations by Texas MP3 Technologies - the day after it acquired a key MP3 patent. The US patent, number 7,065,417, was bought by Texas MP3 Technologies on 15 February, according to Out-Law . The lawsuit was then filed by the company on 16 February. The patent is broad in scope, describing "a portable audio device suitable for reproducing MPEG-encoded data..."
It also describes it as having a range of inputs, non-removable data storage to store compressed digitised audio data; a display; an audio output and at least one processor. This could describe most digital music players on the market today. The patent has had a chequered history: it was original filed at the US Patent Office by two Korean inventors in 1997, but was never enforced as it was part of a complicated series of patents related to MP3 filed by many different companies. SigmalTel eventually acquired sole ownership of the patent in 1996, but quickly sold it on to a patent licensing company, based in Dallas, Texas. Little is known about Texas MP3 Technologies, who are based in the US state from which they take their name. Its lawsuit may make the MP3 big boys sweat as east Texas courts are reportedly renowned for their sympathy towards patent holders. Last week Microsoft was ordered to pay $1.5 billion (£750 million) when a court found it had violated MP3 patents held by Alcatel-Lucent. Alcatel-Lucent is said to considering further lawsuits against companies - including Apple - that use the MP3 codec in their hardware and software. Ironically the threat of litigation may turn off tech companies who currently use MP3. This could open the door for rival technologies like FLAC , AAC and Ogg Vorbis , which have largely been marginalised by MP3's popularity until now.